Please raise your hands if you have dry, frizzy hair? I have very very dry hair. 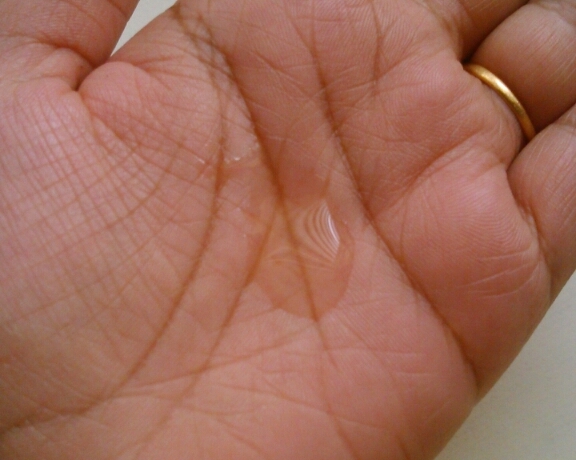 Everytime I see someone with nice, soft, silky hair I feel 'Kaash mere Baal bhi aise hote!'. 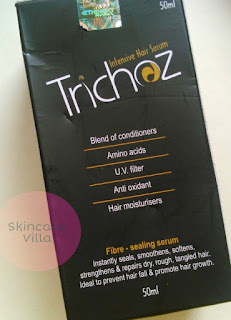 You might be thinking why so drama today :D. Today's review is about Trichoz hair serum from Ethicare Remedies. Let's see how this helps for dry, frizzy hair. 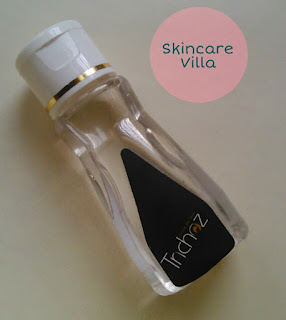 The serum is packaged in a small, transparent, flip cap bottle. 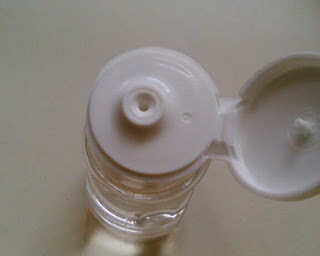 The nozzle of the cap is of perfect size and dispenses just the right amount of product. This not only let us avoid product wastage but also helps product spillage. The fragrance is quite pleasant and I used around more than coin sized amount as I have very dry hair. 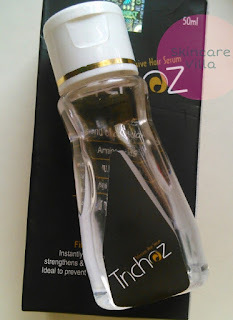 The serum is transparent in colour and very non-oily in nature. It is truly serum in every sense. The serum is made up of Blend of silicon conditioners, Vitamin E, U.V. Filters,amino acid. The serum is neither runny nor thick in consistency and is not at all oily, greasy and sticky. The serum spreads easily along the length of hair, however it takes some time for the hair to gulp down the serum (my hair are very dry). I used it post wash and after my hair had dried up completely. 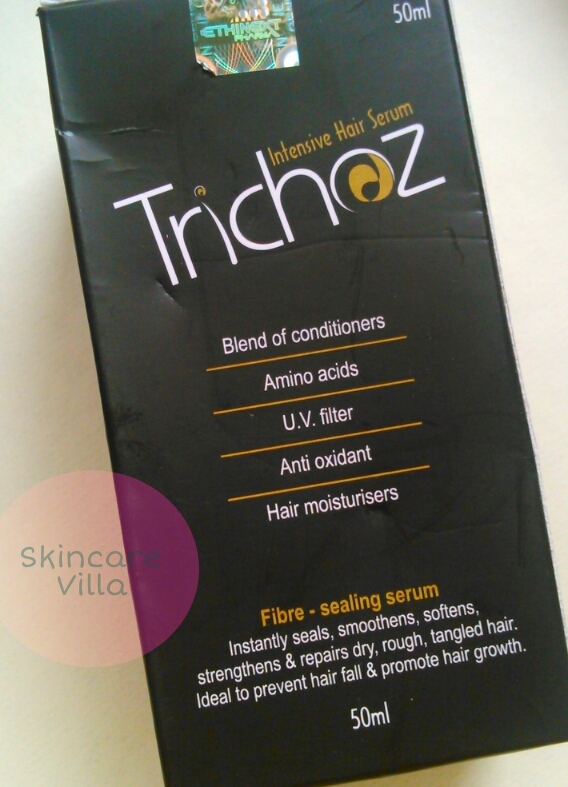 The serum does a good job in taming the frizz. However don't expect a magic makeover if you have very dry hair. My hair are thick so mostly I tie them up and after applying the serum my comb could easily go through the length of my hair. Somehow the smoothening effect wasn't up to the mark or maybe I was expecting a lot. However with regular usage it helps getting the required smoothness but not much unless you already have soft hair.